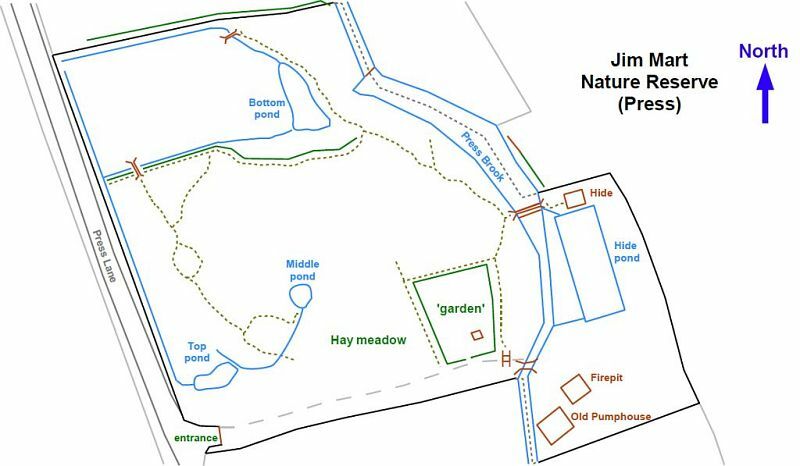 The Jim Mart Nature Reserve consists of two separate sites: the upper reserve in Alton village and the lower reserve near the hamlet of Press. The upper reserve is currently not open, and the lower reserve is open to Ogston Bird Club members only. Only the lower reserve is described here. There are no Public Rights of Way on the site, however the public can view the site from Press Lane. 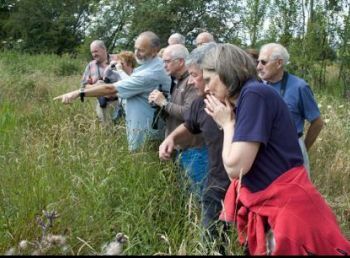 In 2005 Mr Jim Mart, a local small-scale farmer offered land to Ogston Bird Club for use and development as a nature reserve and, following a Special General Meeting, ownership was formally transferred in February 2007. 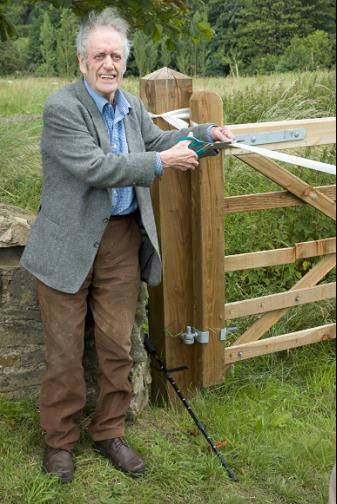 After making the site safe enough for visitors and carrying out initial conservation works and surveying, the official opening was held on 13th July 2008 with Mr Mart ‘cutting the ribbon’: “It’s only a small site, but it must be the best nature reserve in England”. Whilst regular work parties are held monthly to maintain and enhance the site, larger projects are occasionally undertaken in conjunction with outside organisations. Of particular interest was the conversion, between 2009 and 2011, of a large underground water storage facility into a bat hibernaculum. This work was carried out in conjunction with the Derbyshire Bat Conservation Group and Derbyshire Mammal Group, with funding from the Green Watch Awards and from the sale of quiz sheets organised by Sue Jones and John Bland. The lower reserve is compact, just 0.7 hectares (1¾ acres) in total, primarily rough grassland and remnants of ‘brown-field’, surrounded by hedgerows with a variety of trees of differing ages. There are four man-made ponds with associated ditches and settling pools, and a canalised stream with two weirs. 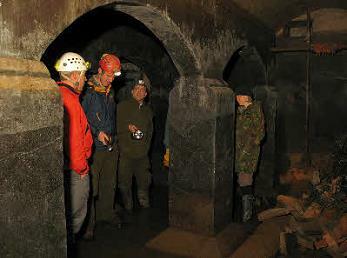 There is a lack of uniformity about the site which provides a lot of natural interest and occasionally some surprises. Maintained paths interconnect to the most important features and visitors are encouraged to stay on these in order that most of this small-scale reserve remains as undisturbed as possible. The bat hibernaculum is strictly ‘out-of-bounds’ to human beings, including club members. As with any natural or man-made environment there are hazards. These are largely self-evident, such as the water features and steep banks, some less obvious such as vegetation filled ditches and uneven ground off the paths. Please exercise common sense and ‘look before you leap’ to get a better view of some rarity. For wildlife recorders, please refer to the Species page for more information.